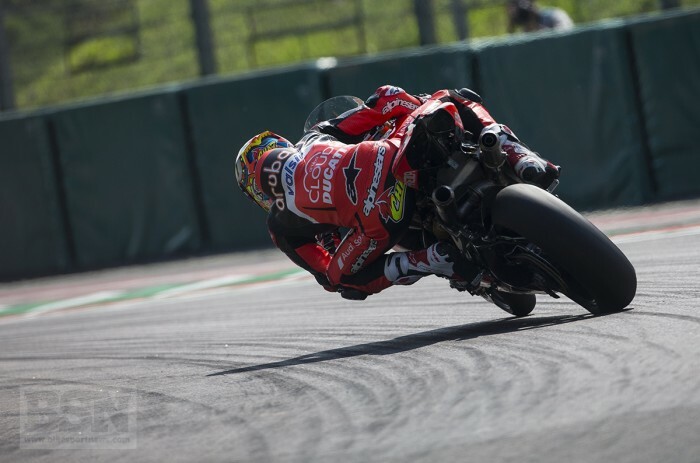 Aruba Ducati’s Chaz Davies says that finding a setup at Laguna Seca is always difficult as the Californian WorldSBK track needs stability and agility. Davies, who has won three races at Laguna in the last three years, needs a big result this weekend to claw back some of the 65 points he is behind Jonathan Rea in the championship stakes - and really needs the Kawasaki man to have a bad weekend. “Competing at Laguna Seca is always a fun challenge. It’s a tough track, with a lot of technical parts to it. Camber and elevation change quite a lot, there are fast corners and hairpins, and obviously the ‘Corkscrew’ itself,” said Davies.